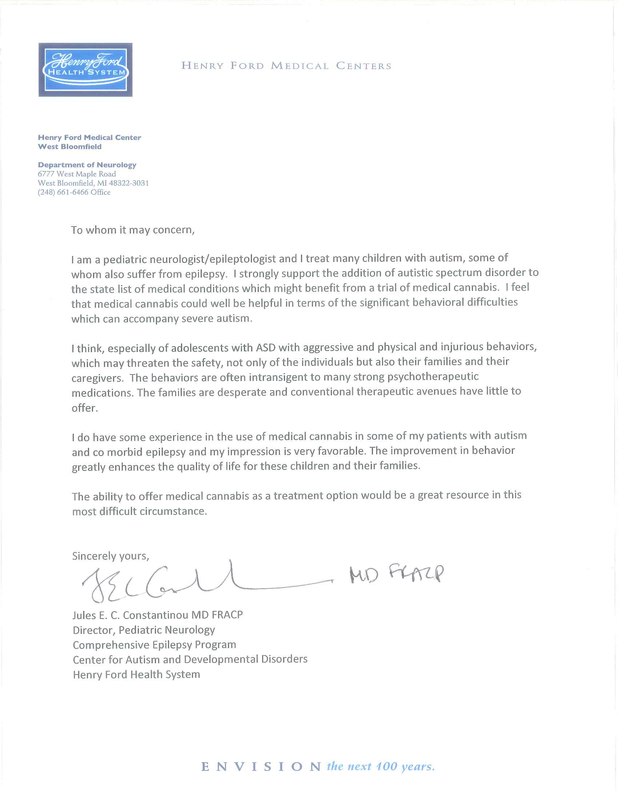 Dr. Lester Grinspoon and many doctors support the usage of medical cannabis for Autism. The late Dr. Jeffrey Bradstreet, an autism specialist, believes autism could be a deficiency in the endocannabinoid system that causes immune system disfunction amongst other issues. The endocannabinoid system (ECS) is a key modulator of synaptic plasticity, cognitive performance, anxiety, nociception and seizure susceptibility, all of which are affected in FXS (Autism) . Michigan recently voted to support Autism as a qualifying condition for medical cannabis. It was first state to add Autism, but probably not the last given the increasing evidence to support it’s viability as a treatement .